Another busy weekend bites the dust!!! Sometimes my weekends are so busy that I actually look forward to going to work on Monday...sort of, LOL!!! Well here is the first installment of Menu Monday!!! Where I post my weekly menu and recipes for the week (actually this is last weeks menu, that way I feel like I am ahead of the game). Now let me explain how my menu planning works: I usually plan 4 meals for the week (that seems to be enough for our family of 3 adults). 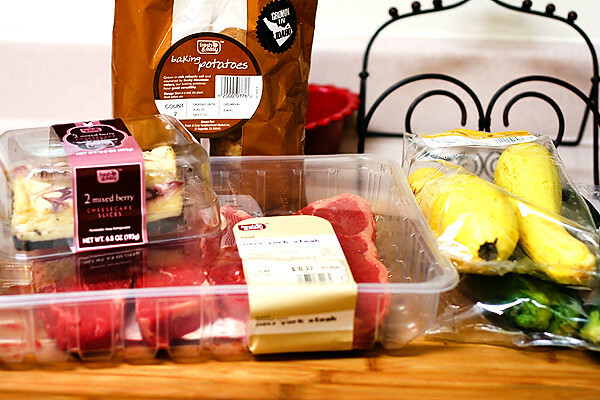 On most weeks I plan one meal that makes a lot so when I don't feel like cooking one night I can use up the leftovers. On the weekends Mike and I usually eat out once or twice, but if we decide to stay home we usually have leftovers, grilled cheese and tomato soup (I use my George Foreman Grill and it makes the best grilled cheese/panini ever!! ), hot dogs and beans (my guys love hot dogs~I am not really a fan), or spaghetti (these are staple items in my kitchen/freezer). I serve with sour cream/pineapple salsa and fresh melon on the side. Well, there you have it!!! Hope you enjoy!!! *Ashley is in VA this week taking her very last class for her M.A., so not sure if she will have time to pop in with her weekly posts or not. 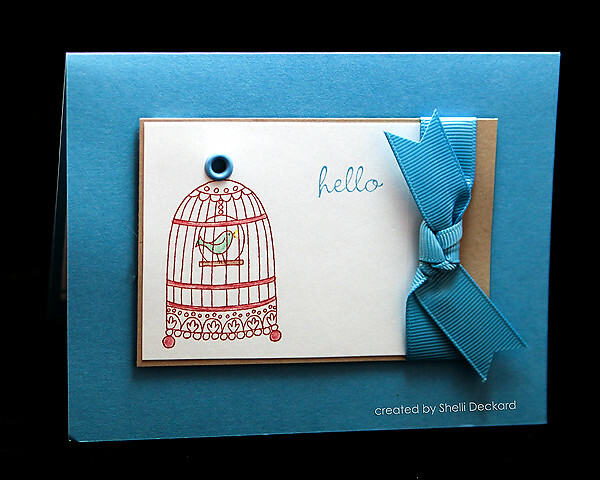 Thank you Shelli for letting me know the card photo was not visible on the old blog this morning~it's fixed!!! Happy Friday Friends~can I get a "whoop whoop"
do you have any exciting plans for the weekend?? My hubby took today off (he had one vacation day to use up by September 1st), so after we get some yard work/other stuff done~I am hoping to do something fun together~maybe lunch and a movie (do ya think I can talk him into seeing Eat, Pray, Love??). We are having a ministry fair at my church this weekend~and I have been busy, busy, busy with graphic designing stuff. I still have a few things to wrap up this weekend (nothing like waiting until the last minute, right?). I am hoping to spray paint a few items over the weekend~which I hope turn out OK, ever since I did the doorknob project a few weeks ago~can I just say I am really loving spray paint!!! I even picked up some of this last week (which I can hardly wait to try out). Today's card is one I made for an old friend of mine that is having some medical issues right now...She has been on my mind over the past couple of weeks and I finally had a moment to mail this off to her. I pulled out my Spiral Bouquet stamp set (which I forgot about until PTI design team had a challenge using it last month), which inspired me to revisit this stamp set. Wednesday I stopped over at Ashley's to snap some photos, since I have not had time to use my camera in a while *gasp* (she is my most willing model, and pretty cute I might add), so here is one of my fav's from our mini shoot!!! Thanks Ash!!! Ok Peeps....Have a FABULOUS Friday!!! So recently, Nate and I have been trying to limit our eating out in order to save money. Now that we are going through Dave Ramsey's Financial Peace University, we are trying to get our finances in check, which means less dining out and more eating in! This past Friday, I really wanted to have steak, but didn't want to shell out the money at a fancy-dancy restaurant so I took a trip to one of my favorite stores: Fresh & Easy! When I got there, I noticed they had a great deal on New York strip steak, so I grabbed it and went looking for some baking potatoes and veggies. The package of steaks actually had 4 giant strips, which means it will definitely last us for another dinner. I prepped the meat (with steak sauce and seasoning), cut up the veggies and got them boiling, and chopped up the potatoes with Italian seasoning and EVOO (Extra Virgin Olive Oil). By the time Nate got home from work, all he had to do was put the steaks on the grill! Even though we didn't "go out" on a date, it was wonderful to spend some quality time together while enjoying delicious home-cooked food! I also have to share what we ate for dessert! While I was at Fresh & Easy, I always check out the "reduced-price" section (which is made up of products that need to be consumed quickly due to expiration dates or they merely need more shelf space for other products). I know that Nate absolutely LOVES cheesecake, and they had two slices of mixed berry cheesecake for $1.29. I have to say that it was amazingly delicious (especially the chocolate graham cracker crust!). Here's another challenge for this week/weekend: find ways to spend time with your spouse and/or family that doesn't involve going out to restaurants or the movies. Nate and I made this past Friday night a game & puzzle night and we had such a wonderful time just being together. It's so easy to get busy with life, but I challenge you to find simple ways to spend more time with the people you love, while also saving some money! Well I was excited to see that y'all are interested in my Menu Monday idea~I hope I don't disappoint!!! I figure if I am doing the work, why not share it?? I used the C&S sketch for today's card ( I think I am getting addicted to their challenges!! ), they are so great if you just need a starting point...which is usually the case when I sit down at my craft table~then once I get a card done, the creative juices start to flow (most of the time). Today I am taking 5 cards with me to work, along with my address book then I am picking 5 friends to encourage this week! I don't know about you, but sometimes life gets so crazy that I forget to let others know I am thinking about them. Have a wonderful Wednesday Friends!!! Are you ready for a new week?? Not sure if I am, but I am gonna make the best of it *wink* I don't know about you but I try to cram so much stuff into my weekends that I am exhausted when Monday rolls around!!! One thing I have been trying to do lately is to try to get 8 hours of sleep per night~and considering I get up at 4:45 am (well really my alarm goes off at that time and I usually hit the snooze button 3 times until it is 5am). I would need to go to bed at 8:45 each night~YIKES!!!! My goal it to try to be upstairs face washed, teeth brushed and PJ's on by 9pm and watch tv or read until 9:30. I have to say it has been kind of hard to get that schedule going!!! I am used to staying up until 10:30 or 11pm!! I do have to say that I have really noticed a difference in how I feel, and I don't get as tired at work (getting up is still hard, but at least I am "trying" to get 7-8 hours per night). So that really cuts out a few hours at night that I would have had to surf the net, edit photos, etc...I am trying to adjust, LOL! 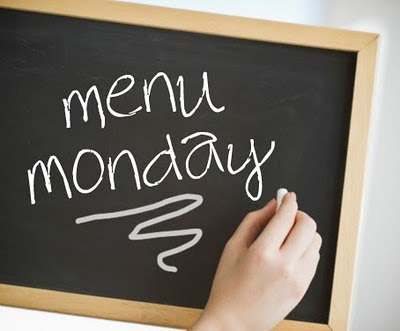 I also had an idea for the old blog-o and wanted to ask my Blog friends their opinion: So here it goes....drum roll please...How would you like to have a Menu Monday post??? I know that grocery shopping is one of my least favorite jobs!!! And in order for me to get my hiney to the grocery store, I need to make up a menu and list. Well... would you like me to post my weekly menus??? I mostly make low fat (sometime WW), quick and easy, meal plans (but don't worry they taste good, because I also have to feed the boys~AKA~Mike and Josh, and they are tough customers, LOL!). I included a poll (below), so please let me know what you think (I won't be offended if the idea is a DUD), I am just throwing it out there~feel free to THROW IT BACK!!. OK enough rambling for one day!!! I have met so many great people through this little blog of mine, and Shelli is one of them (Hi Shelli!!! I am waving hi!). We even had the opportunity to meet up, because she happens to live in AZ too. Every so often she surprises me with a RAK!!! Look-ie what I got in the mail this week *smile* So cute!!! Thanks Shelli!!! It truly made my day!! Which reminds me, that I need to mail out some cards this week "just because" I have plenty, ya know, LOL!! Ok Friends!! Make your Monday a MARVELOUS one!! I am always so happy when the end of the week arrives~it is so nice to have the weekend all stretched out in front of you~such a GLORIOUS feeling, if I do say so myself, LOL!!! I am going to try to keep this weekend on the light side (we will see if I succeed), I have several cards to make/mail to people, and the usual weekly stuff (my least favorite being grocery shopping!!!). I have a few home projects on the back burner that involve spray paint~good times ahead!!! Have a Fabulous Friday and Enjoy your WEEKEND!!! Is it really Thursday already?? I apologize for being absent on the blog lately. I have been incredibly busy with ministry-related activities and some changes that have taken place at our church, but I'm hoping to get back into my usual routine! This past weekend, Nate and a few of his friends went to the Arizona Cardinals game, which gave me a little free time to do some organizational shopping with my mom. I received a Michael's giftcard back in July for my birthday and decided I would look around the store for some organizing inspiration. We chose the perfect time to go because they were having a 40% off sale on ALL baskets! 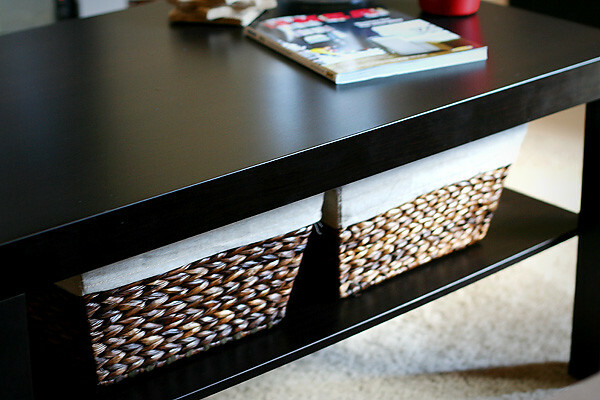 I've been looking for a way to organize all the junk around our entertainment center and coffee table in our living room and I found some super cute baskets! 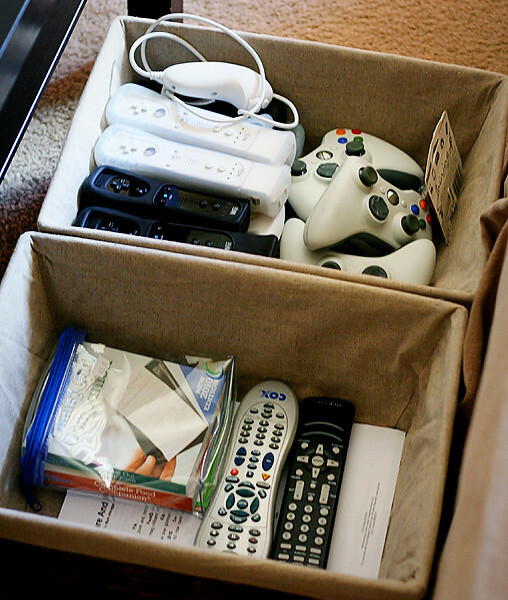 I failed to take before pictures of the mess known as our coffee table, but believe me, you would thank me for not sharing :) Now, all our Wii & XBOX 360 controls, accessories, batteries, and remotes are neatly concealed under the coffee table! It looks so much more streamlined and I absolutely LOVE it! It's amazing how a few baskets and about 10 minutes of going through a mess can make your whole living area more... well... livable! 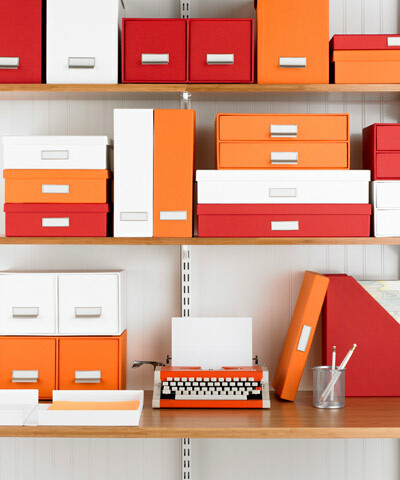 This is my challenge to you: If you've been putting off that area in your house that needs a little TLC and organization, take a few minutes to go through it. You will feel a whole lot better! 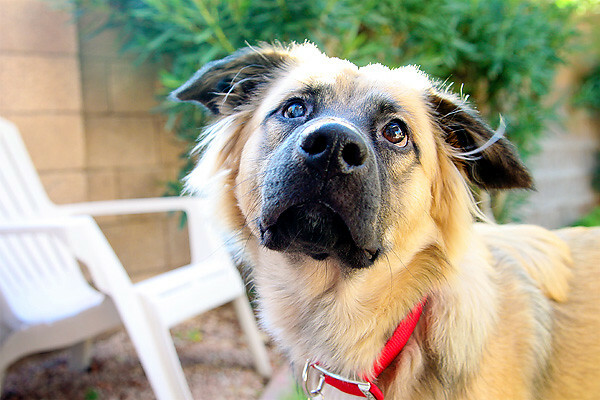 I interrupt this blog for some doggie cuteness!!! Yesterday was sort of a stressful day (not work or family related) that is all I am gonna say about that, LOL!!! 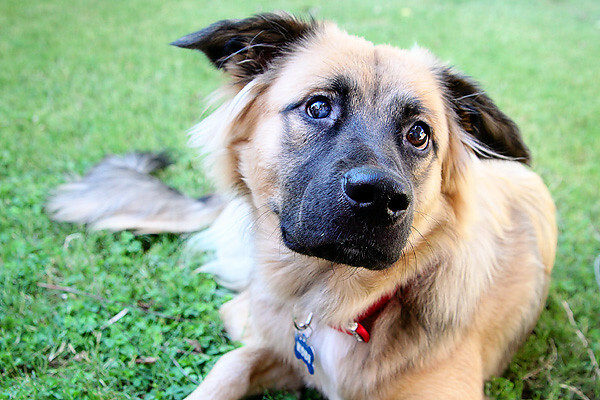 I was really tired and just wanted to veg when I got home, so today instead of a card post...I am posting Kodi...the cutest doggie IMO *wink*. What I love most about him is when you have a bad day and come home~Kodi is always so happy to see you... (which involves lots of slobbering, LOL!)!!! Kinda makes you forget about the stress for a few moments. Have a WONDERFUL Wednesday blog Friends!!! Hi all, can you believe it is already Monday again??? I hope you had a great weekend!!! I don't know about you, but I usually jam way too much stuff into mine and then once Monday rolls around I am exhausted!!! I am def gonna try to plan on having a "nothing to do weekend" really soon!!! Mike was supposed to go to a Cardinal's game on Saturday night, so I was all prepared to stamp the night away~but his plans changed (being in the ministry is sometimes like that!! ), so I got a little side tracked, LOL!! I did some shopping at Michael's with Ashley...she was trying to use up a gift card (she is not really that crafty, but she found some cute items that I think she might blog about this week~so I won't spoil the surprise). I had my 40% off coupon and decided to buy some vinyl wall art (gonna let my perfectionist measuring hubby put it up for me)~will post once it gets up on the wall. So Sunday I had a few moments to stamp and decided to do the Clean & Simple sketch (since I wasn't feeling the creative mojo). I have to say~it never disappoints!! 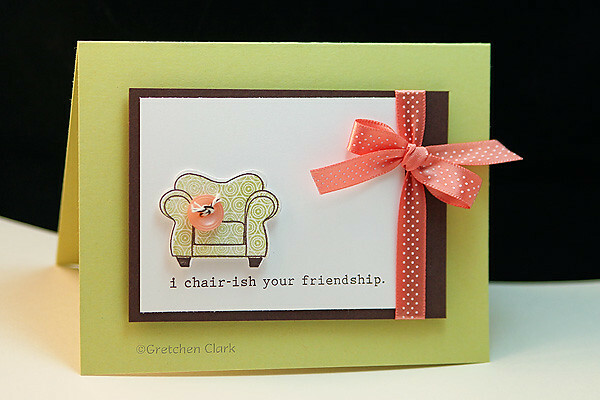 I had a card made for the old blog in about 10 minutes (it took me longer to clean up my craft table, LOL!!). 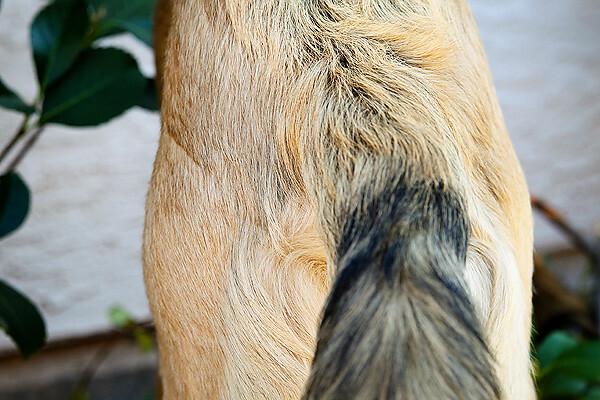 And I did get some camera time in (not like I had planned), since Josh was not really excited about a photo shoot~I took Kodi outside and snapped a few photos (let me just say, he is not very cooperative)~this is the view I got most of the time, LOL!!! I was calling his name a million times trying to get his attention~my neighbors were probably wondering what the heck I was doing, LOL!!! Finally I got him to look at me~sort of ;) Crazy Doggie!!! Howdy my blog peeps...are you as happy as I am that it is FRIDAY?? Whoop Whoop!! Ashley's Friend Lindsay is coming to visit this weekend and I am going to meet up with them here (*smile*). I am also hoping to dust off my camera and practice some full sun back lighting (hopefully talking one of my kiddos into being my model), and the usual stuff like cleaning, grocery shopping (which I really don't like one bit), and some yard work (I know I have said it before~don't I live an exciting life?? LOL!). A Little Bit of Pampering! I hope you are having a wonderful week! I don't know about you guys, but it seems like life is just whizzing by lately... there's so much to do and so little time! With all the craziness of life going on, I wanted to set aside some time just for me. I'm not much for expensive pampering, so I typically try to find inexpensive ways to pamper myself every once in a while. I have to share this new product I recently found at Walmart. As I've mentioned before, I'm a self-proclaimed product junkie and I love to try new things out. As I was purchasing some usual products, like shampoo and hairspray, I stumbled upon this new line of organic beauty products. As soon as I saw them, I had to take a sniff to see if they smelled as good as the packaging looked. 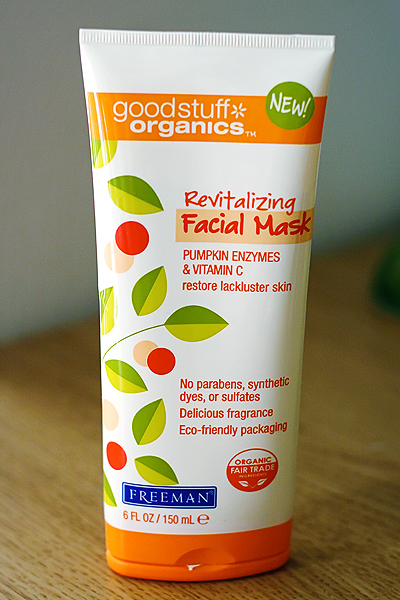 I'm sure some of you have tried organic beauty products only to find that they smell... well... organic. I was pleasantly surprised! 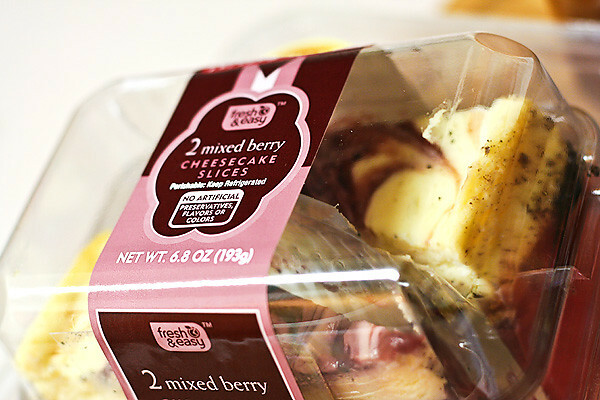 The packaging doesn't lie... all the products have a "delicious fragrance." Since I haven't done a facial mask since college, I thought I would give it a try. Nate had a meeting with a fellow ministry team leader last night, so I thought I would have a "girl night" and give myself a facial. I have to say that the facial worked amazingly well! I left it on my face to dry for about 15 minutes and once I washed it off, my face felt super refreshed and clean. I would highly recommend this product... and since it's only $6.00 at Walmart, what could be better? I even thought I'd include a photo of me getting the facial :) Not very glamorous... but super fun! Have a wonderful day! Happy Wednesday!! The half way mark!!! Hump Day!!! Whoop whoop!! Today is my mother's birthday...so a BIG Happy Birthday SHOUT out to my Mom!!! I take after her in the fact that I am not aging, LOL!!! I do have to say that my mom can out-shop me any day~I get tired keeping up with her!!! 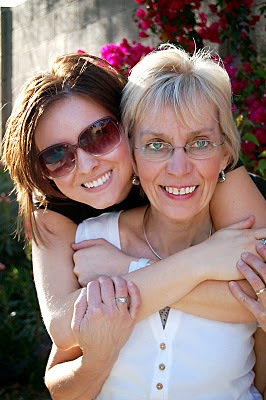 Here is one of my favorite pictures of my mom and Ashley (I think this is when I got my first DSLR camera and had no idea how to use it). Here is the card I made for her~I even pulled out my sewing machine for this one...which is a big deal, cause I am not really a "sewer" (take after my mom on that one too!! 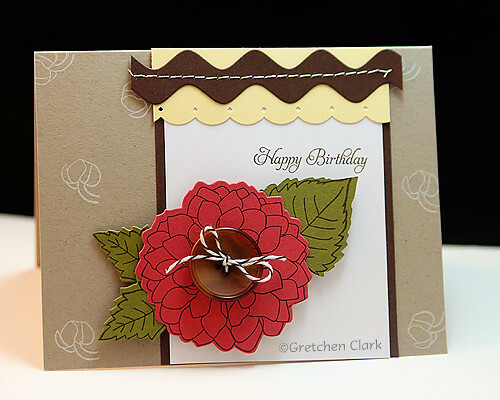 ), but I do have to say that sewing cardstock is pretty easy and FUN!!! 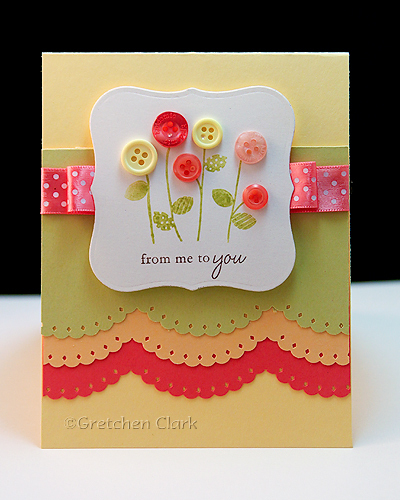 Expect to see more cards sewn up on the old bloggy!! I know this is not a new concept, but I am always a little behind the times, LOL! 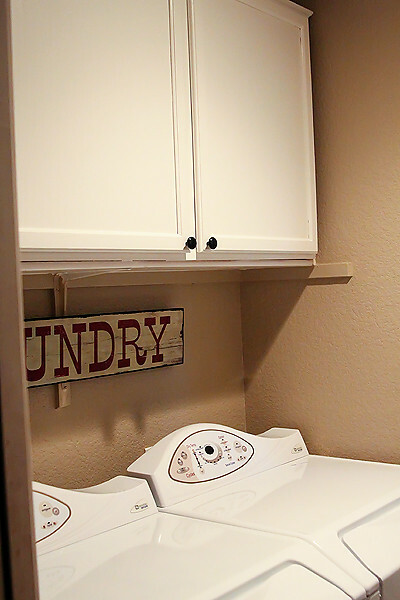 I finally got around to snapping a few photos of my laundry room re~do (I use the word room lightly...because it is more like a closet, LOL!). This was the one room in our house that never got re~done. 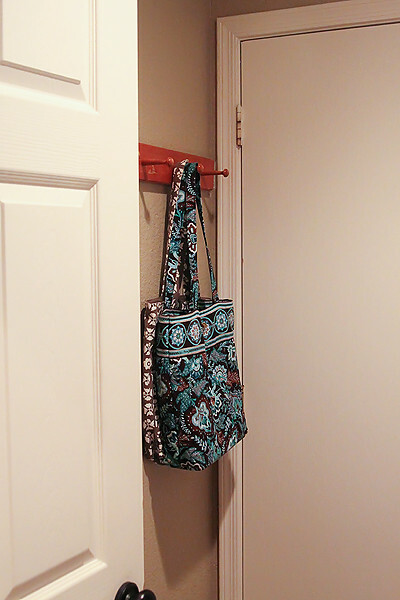 When we moved in, we concentrated on all the other rooms because they were more of a priority (bedrooms/family room/living room/and of course my craft room, LOL!!). After living here for almost 10 years~I finally go sick of the stark white walls and random cabinet that was in the space. First I taped off the ceiling and around the molding (this was done about a month ago and I got too busy~sheesh!!). I went to Home Depot and picked out this lovely color for the walls and this color for the cabinet. Then while I was in the paint aisle I picked up this to clean the walls and cabinet and this to help prevent paint streaks. 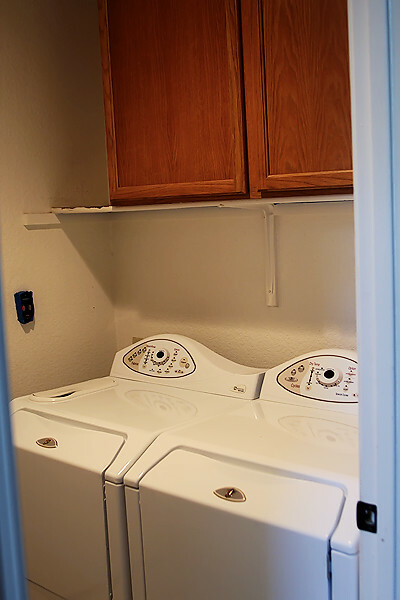 This is what I was dealing with (note~since my laundry room is the size of a closet, I could not get photos of the entire room). very frustrating!!! Just a plain white blah room!! After two days of prep/paint/organizing...tah dah!!! My new and improved space!!! 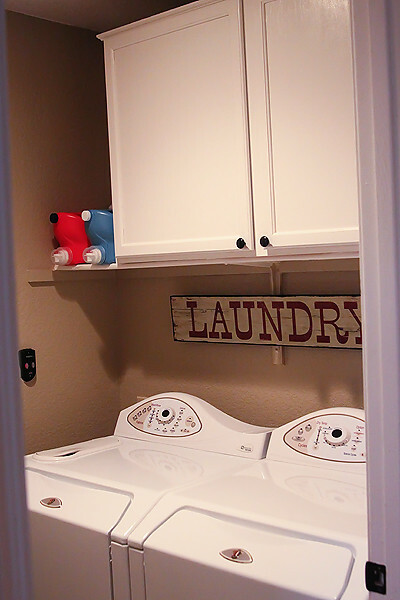 It just makes me happy that everything has it's place and "like items" are grouped together~all is well in the laundry room now!!! 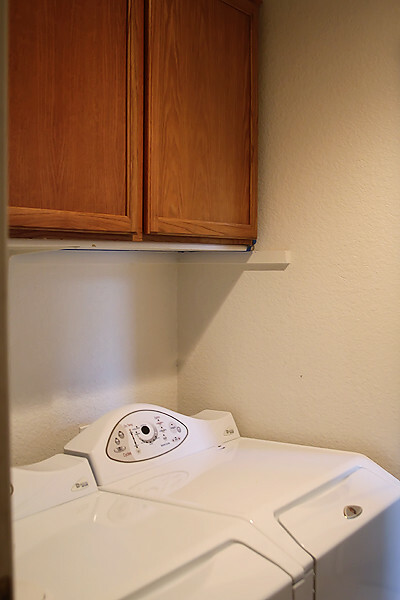 Does it make me want to do laundry more~unfortunately NO!!! Do I smile when I walk by it~YES!!! 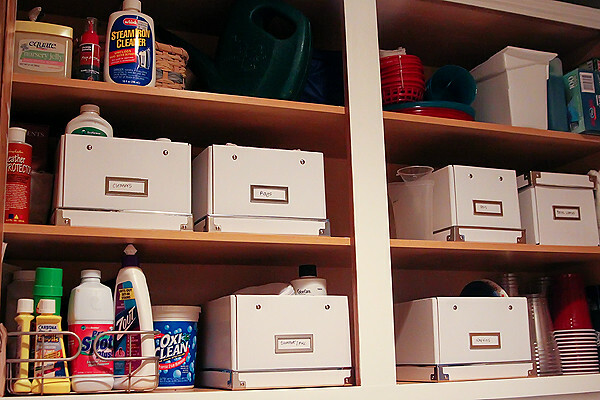 Do I open the cupboards randomly to look at the organized space~HECK YEAH!!! Now I just need to pick up a few more boxes from IKEA to complete the cabinet!!! (here are my categories if you are interested: cleaners, plastic utensils, napkins/paper plates, pet supplies, summer (which is sun screen and bug spray), rags, and once I pick up a few more boxes I will add: sponges (I love the magic erasers), party supplies (which is on the top left), and maybe a few to grow into? (and I am not really sure why I have vaseline in my laundry cupboard??? 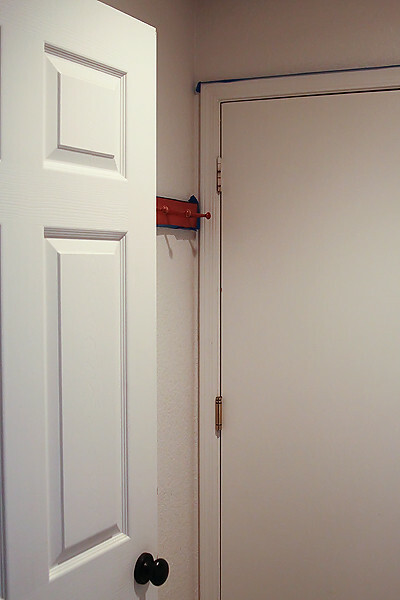 I think Mike was using it for something in the garage and it just ended up there). 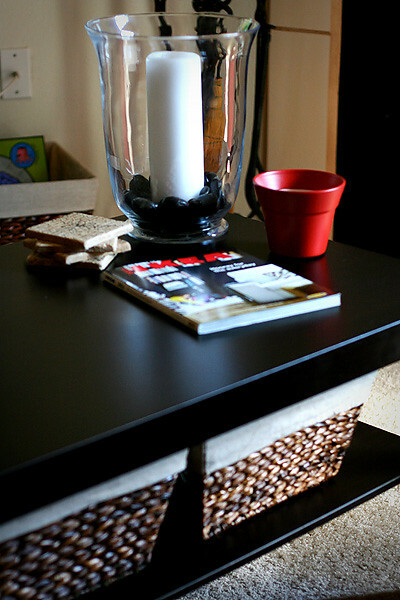 I have been thumbing through a Do-it-Yourself catalog and am debating on my next project...Josh thinks I should paint the kitchen cabinets, but let me just say, the ones I did in the laundry room were quite a bit of work~my hubs would definitely have to be on board with that project, LOL! !, and right now he just has too much going on~so don't see that happening for a while. Okay that is it for today~HAPPY ORGANIZING my Peeps!!! I hope you had a marvelous weekend!!! I had 4 days of Mission Organization (which if somewhat fun for me~really). 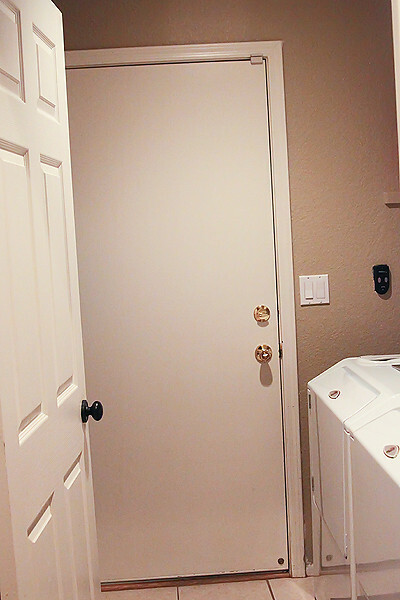 I redid my laundry room~it is finally complete and I will post before and after photos tomorrow~because I was too tired (and sore from all the paint roller'ing, and standing in weird positions to reach hard to paint areas) to take photos last night, LOL!. I could have used 1 more package of these, so I will most likely hit IKEA this week for some. 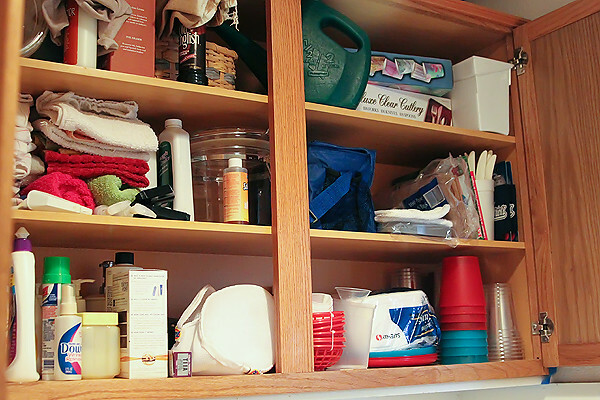 I also cleaned out the snack/cereal shelves in my pantry (boy I need a bigger pantry!! !, but will make do with what I have *smile*). While I was at Home Depot picking up a few painting supplies~I grabbed this magazine, and put it in our usually reading spot (the bathroom, LOL!! ), well my hubby was not excited to see it~because it means I have a few more projects up my sleeve!!! Ok~enough home improvement talk for today!! I submitted a bunch of cards for publication and a few didn't get selected~which means now I can share them on the old blog!!! Ok~I'm back to reality today...Enjoy your Monday!!! I am on an organization kick at the moment, and have a few projects that I am working on today (I promise to post lots of pics!!! Because I for one LOVE before and after photos). I am tackling my laundry room today (which has been taped and ready for paint for about 3 weeks now), I went to Ikea yesterday and picked up some of these. Then I will hopefully finishing my upstairs doorknobs, plus some pantry organizing (with these)...doesn't it sound glorious??? (spoken like a true OCD'er). found great organization tips here. Good Tuesday morning everyone! I hope you are having a super awesome week so far. Today, I wanted to share with you my recent obsession with a book. Now that I am on somewhat of a hiatus from classes and Nate's parents got me an Amazon giftcard for my birthday, I have been dying to find a good read! I was perusing some blogs I enjoy reading and found out about Tracie Peterson, who is a Christian author. After doing some research on Amazon, I knew I had to start the Song of Alaska Series based on customer feedback. 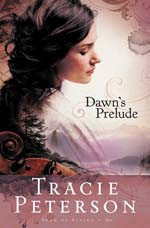 I purchased the first book of this series Dawn's Prelude on my Kindle on Friday afternoon and I am already 35% finished! It's a wonderful story and it really keeps you interested the whole time. I would highly recommend this book to everyone, so if you're looking for a late summer read, give it a try! I'm trying to get as much leisure reading in right now as possible before I leave to take my last intensive class at Liberty University at the end of August. I hope you all have a wonderful day & I will see you back here on Thursday! Happy Monday!!! The one bad part about the weekend~is the end (stole that from my brother's Facebook wall~isn't he clever??). Another crazy weekend at the Clark house! 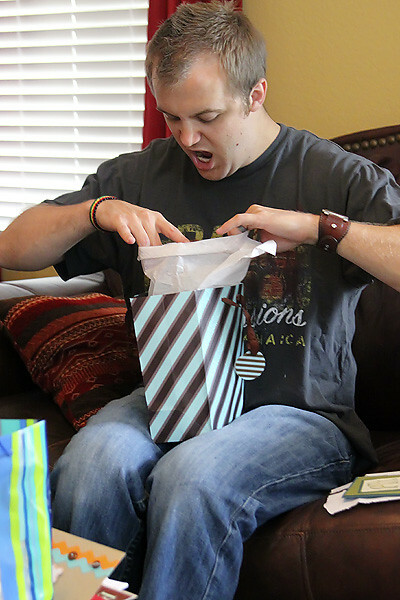 We celebrated Nate's birthday yesterday, which was a lot of fun (Nate really liked his gifts, LOL!). I have an office birthday today, my mom's coming up on August 11th and then I am taking a birthday break for a while~I am birthday'd out, LOL!!! 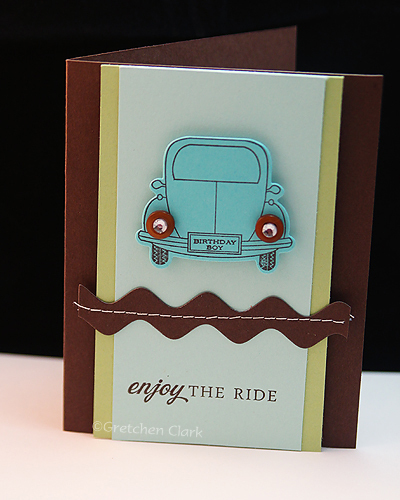 Here is a card I made for our office party today~used some of my new stuff from Papertrey Ink. I needed a masculine card~so I tried not to fluff it up too much. Can I just say how much I am loving the ric rac die!!! I had been on the fence about it, but I can tell it is gonna get a lot of use!! LOVE IT!!! Ok, I am seriously hoping to get caught up with my life this week (fingers crossed!! ), I have some publications to work on today after work (which are due tonight by midnight~nothing like waiting until the last minute, huh??? 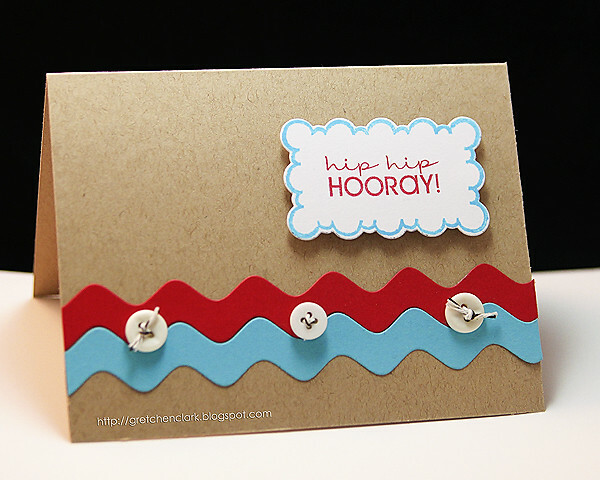 ), just hope my schedule and stamping mojo cooperate!